While Tech Crunch reported that many users were employing ridiculously weak passwords such as “12345” and “password”, having a strong password, as I wrote about recently in Fighting back against Anonymous, LulzSec and the global cyber insurgency, is worthless if the site servers or applications are not configured or patched appropriately. So, what is a SQL Injection attack? The point of an SQL Injection attack is to compromise a database, which is an organized collection of data and supporting data structures. The data can include user names, passwords, text, etc. Structured Query Language is the programming language used to manage data in a database; more appropriately, a relational database management systems (RDBMS). The types of management systems that employ Structured Query Language include Microsoft SQL Database, Oracle, MySQL, PostgreSQL, and others. This statement uses a wildcard (*) to return the contents of the table. The hack could also include inserting information into the database, like a new user for the purposes of doing bad things. The point of the hack is not just to get information from the target site. Depending on the intention of the malicious hooligans attacking you, it can include to bypass logins, to access data as in the Yahoo! case, to modify the content of a website as when hackers replace the website with a new front page, or simply shutting down the server. Often it is a combination of the above. Step one of the attack is to scan sited to see if a vulnerability exists. Believe it or not, a hackers best friend is Google. Employing Google Dork, a hacker is able to search for vulnerabilities using Google tricks. After a site is identified a hacker will attempt to gain a foothold and search for files containing usernames and directories that are known to contain sensitive data. From the listing of sites that Google returns, you will then need to checked each site for vulnerabilities. “http://www.targetsite.org/article.php?id=129. SQL The website is listed as having only one column, so I run into problems when I try to...” The forum allows for collaboration between hackers. Yikes! I found an email for the targeted site and contacted them regarding the vulnerability. Hopefully, they will forward the email to someone who can take appropriate action. The good news here is that these attacks are very simple to prevent or avoid. The Open Web Application Security Project has a SQL Injection Prevention Cheat Sheet, which outlined primary and additional defenses. 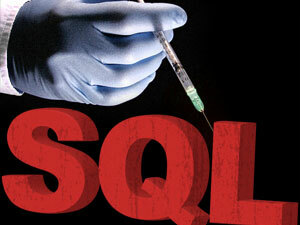 Have you experienced an SQL Injection hack at your organization? How did your organization combat the attack? Let me know.